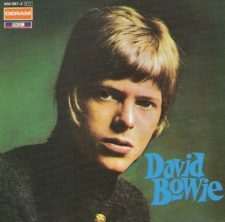 David Bowie’s first-ever lead vocal recorded in a studio in 1963—when he was just 16 years old—has been rediscovered by chance, stashed in an old bread basket. In the only known recording of his first lead vocal session with his first band, The Konrads, Bowie can be heard singing “I Never Dreamed.” The demo is now expected to fetch $14,000 at auction. The tape was rediscovered by Konrads drummer and manager David Hadfield, who said he found it when moving home.